Apologies for this abbreviated Box Office Report, all updates were suspended while MKC covered the 16th PiFan. Following a few gigantic weeks led by local hit Deranged, the box office market has swelled with the introduction of a new blockbuster in the mix, arguably the most anticipated film of the year worldwide. The total admissions for the frame cracked the 3 million mark, the first time this threshold as ever been crossed as far as I know. Unfortunately the local market share took a tumble down to 20% as a result. Total admissions were up 30% year-on-year with the Korean share fell down from 47%. 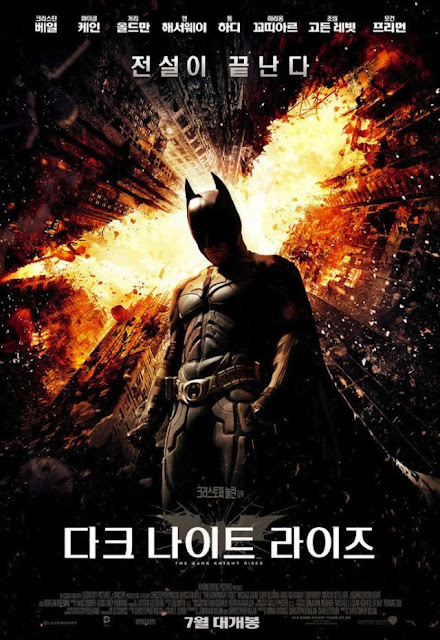 Leading the record-breaking frame was the third and final installment in Christopher Nolan's revered Batman franchise, The Dark Knight Rises, with a phenomenal 1,992,182 admissions. Competition will be fierce in the coming weeks but the film should have no trouble crossing 5 million within a matter of weeks if not days. Deranged fell hard in its third weekend as it receded 55% to 495,156 but it is already a big hit. The 5 million milestone is not very far off but stiff competition may prevent it from reaching the mark, but it should be close. Japanime Detective Conan has a solid 190,413 debut in third place while The Amazing Spiderman took a big fall down to 189,939. It is very close to 5 million but may fall short at this rate, the competition is just too strong. Local film the 5-Million Dollar Man had a disastrous opening with a mere 63,949 tickets sold. K-horror Two Moons slid 70% for 59,429 in its sophomore frame. Dangerously Excited, at number 10, suffered the worst fate of any Korean film for some time as it evaporated in its second week after losing 95% of its business. The Thieves goes head-to-head with Batman next week in what should be a weekend to remember. The Korean Box Office Update is a weekly feature which provides detailed analysis of film box office sales over the Friday to Sunday period in Korea. It appears every Sunday night (Korean Standard Time) on Modern Korean Cinema. 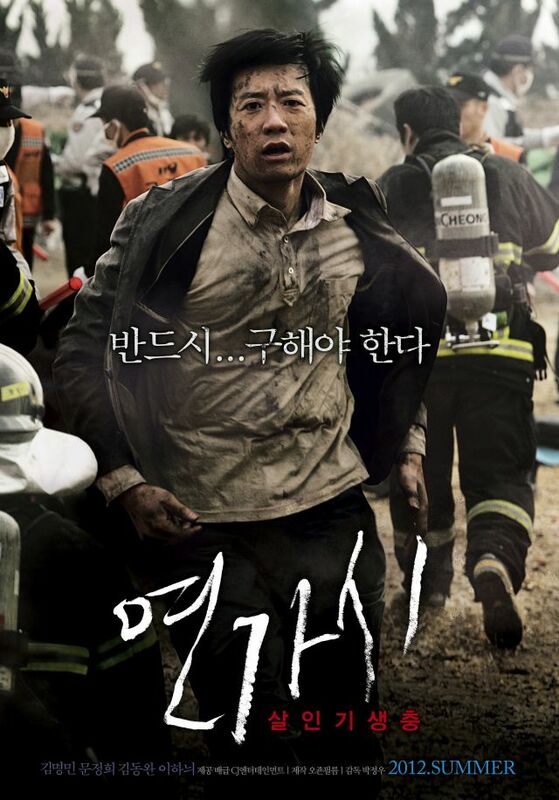 For other weekly features, take a look at Korean Cinema News and the Weekly Review Round-up. Reviews and features on Korean film also appear regularly on the site.